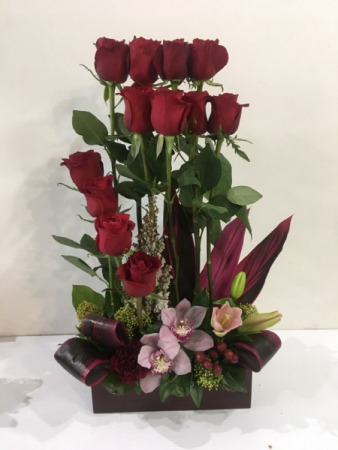 The unique elegant arrangement with roses, orchid and mix blooms. ALWAYS & ALL WAYS ! 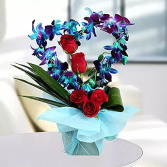 Dozen Roses, Lilies, Greens To Suit. 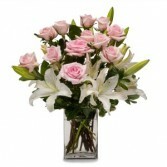 Awesome arrangement of Roses and Lilies in clear glass vase. Rose colors vary.